At Gooden Center, we are a Los Angeles rehab center that provides complete care for individuals seeking recovery from addiction. Our drug and alcohol treatment center is focused on providing the highest standard of care for our patients. 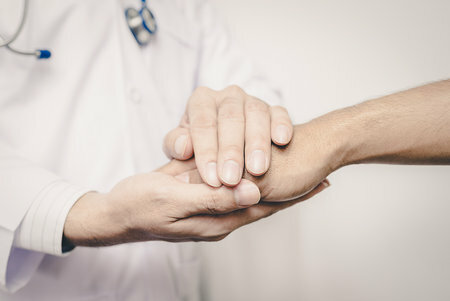 We work diligently to ensure the most effective techniques and treatments are utilized for the benefit of our patients. For families seeking a Los Angeles rehab center that is fully patient-focused, we are proud to provide our services. Not every Los Angeles rehab center can provide the comprehensive care and treatment that individuals need. Some take on a singular approach that doesn’t address the root cause of the addiction. However our centralized focus is on ensuring our patients receive a multidisciplinary level of care that integrates different components. This approach encompasses body, mind, and spirit for a full and complete recovery process. By using the 12 step process, we have helped thousands of individuals seeking addiction recovery. This is one of the most successful approaches that has been proven time and time again. When an individual implements the 12 step approach in their recovery and healing process, they are better able to find the balance they need while developing the confidence to achieve their goals in the program. We are proud to offer a serene environment where individuals can find the peace and relaxation needed for a better frame of mind. In this relaxing environment, it is easier to find peace and healing. In addition to our peaceful environment in Pasadena, The Gooden Center provides personalized treatment options for men in the local and nearby areas. When you visit our rehab center, you will immediately feel the serenity and peace that is a natural part of our environment. We welcome you to experience healing and wellness through a uniquely personalized approach to recovery.